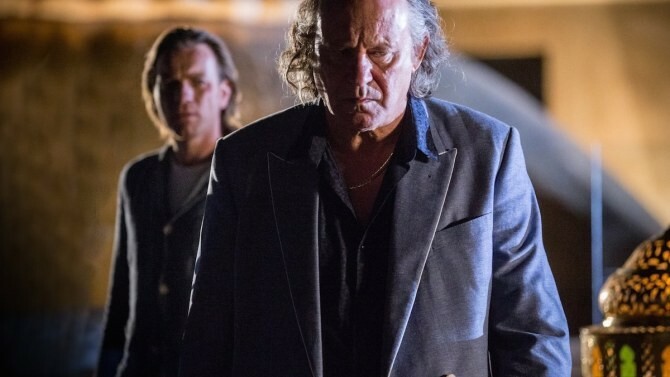 Stellan Skarsgard stars as a Russian mobster in Our Kind of Traitor. 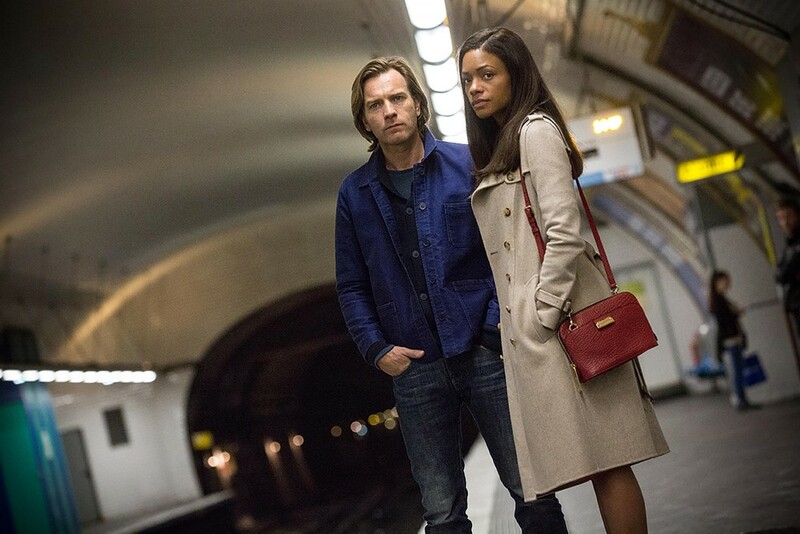 If you like your spy flicks on the quiet, yet visually captivating side rather than providing full-on action at every turn, Our Kind of Traitor might be a welcome addition to your summer movie plans. The new release starring Ewan McGregor, Damian Lewis and the scenery-chewing wonder that is Stellan Skarsgard is the latest film adaptation of a John le Carré novel, although not as strong of one as Tinker Tailor Soldier Spy, A Most Wanted Man or the recent small-screen take on The Night Manager. Even so, there's much to recommend this slow-boiling story about a poetry professor named Perry (McGregor) on vacation with his wife Gail (Naomie Harris) in Morocco when he strikes up an unlikely friendship with a gregarious Russian named Dima (Skarsgard) over drinks, tennis and some boys-only late-night carousing. McGregor is a good enough actor to pull off the unlikely dive into a long, cocaine-fueled night with Dima's seedy crew of Russian mobsters and still keep the audience engaged as, hungover the next day, he starts to discover Dima's true motivations. As happens in a le Carré story, the seemingly simple beginnings of Perry and Dima's friendship evolve into a tale of international intrigue that takes Perry and his wife bouncing through exotic locales, moving from Morocco to Paris, Bern to the stunning French Alps. The locations are pretty much all Our Kind of Traitor has in common with James Bond, though, as this film mostly skips car crashes and chase scenes in favor of intense conversations between Perry and a British agent (Damian Lewis) who may or may not be interested in helping the Russian flee to England. There's a lot of hemming and hawing about secret bank accounts and international money-laundering rings, and it's actually straightforward enough to follow — not an automatic when it comes to le Carré adaptations. What ultimately makes Our Kind of Traitor worth seeing, though, is the collective performance of the cast. McGregor is a fine stand-in for the audience, having his world twisted in knots by this new friend. Lewis is excellent as a pent-up British agent with revenge on his mind as much as justice. And Skarsgard is easily the highlight, a bombastic presence who draws all attention when he's on screen, just as his character does every time he enters a room. Director Susanna White does a fine job juggling the sometimes-convoluted plot and making even simple shots into evocative ones; more than once I thought I caught directorial nods to Alfred Hitchcock during the 107-minute run-time. The best thing she does, though, is unleash Skarsgard and let him turn Dima into a Russian murderer and thug you actually want to root for when all is said and done.